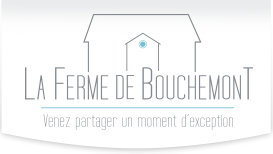 At the gates of the Loire Castles, Ferme Bouchemont is ideally located. It is only 65 kms away from Paris, 18 kms from Rambouillet and 20 km from Chartres. From Paris, take the A10 towards Bordeaux / Nantes and then the A11 towards Chartres. At the 2nd roundabout turn right towards St Symphorien le Chateau on the D18 then Bouchemont, the Gué de Bleury. The farm is across the pond. From Chartres, take the N10 towards Paris. Exit at St Symphorien le Chateau to the D18 and head towards Bouchemont the Gué de Bleury. Airport Paris Orly at 50 kms Farm by A10 and A11.